McDonald's Happy Meal Hungry Hungry Hippos Toy: YOU WIN! Put your thinkin' caps on! 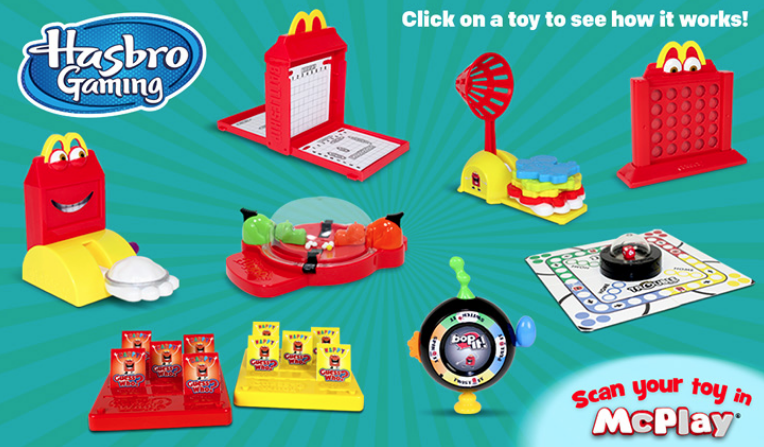 McDonald's Happy Meal is now featuring toy versions of popular Hasbro games. Grab a pal and try your luck with all 8 classic pastimes: Connect 4, Mouse Trap, Pie Face, Trouble, Battleship, Guess Who?, Bop It and Hungry Hungry Hippos.